We would like to encourage you to bring a veteran to lunch! This will be held on Friday, November 9th (lunch will not be provided). Veteran’s Day is Sunday, November 11th, 2018. 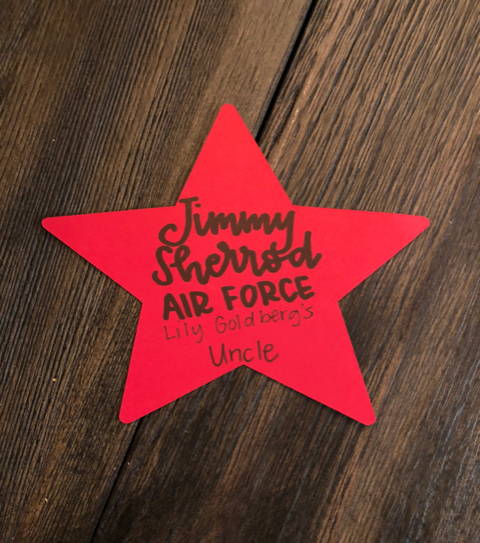 If you would like to honor someone we ask that you please have YOUR CHILD write the following on the star provided; Students Name, Veteran’s Name, Branch of Military and Veteran’s Relationship to the CHE Student. If you need additional stars please ask your teacher, they will be given extras. Once you have all the information on the star you can return it to your teacher and we will collect them. Please have all stars back to your teacher by Friday, November 2nd. We will be displaying the names on a flag in the hall near the cafeteria, through the month of November. Please return any unused stars to your teacher.